The most important advantages of the brand SIEGEL Automotive are the attractive prices combined with a 12-month guarantee. The solid range of services fulfills all the essential requirements and fast delivery. The product range includes spare parts for body and cab, lighting and electrical equipment, as well as for other product groups. With SIEGEL Automotive, distribution partners of Diesel Technic can just stay cool during price negotiations and, completely relaxed, offer their price-sensitive customers branded products at attractive prices, and thereby increase their competitiveness. 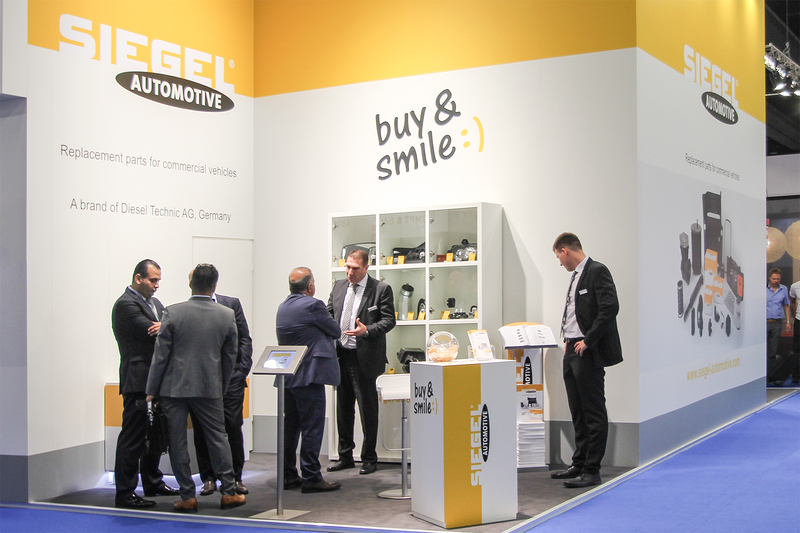 The "buy & smile" slogan aptly describes the positive feeling of the customer after having decided in favour of products of the brand SIEGEL Automotive. 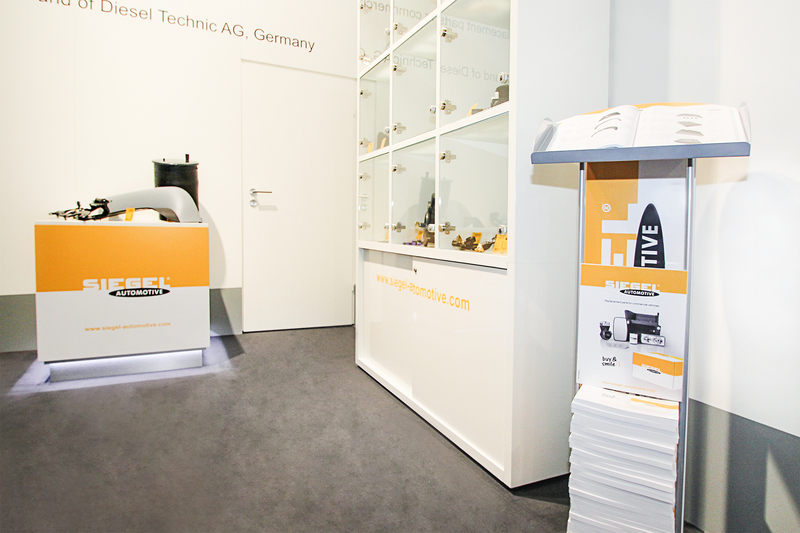 The new spare-parts catalogue of the brand SIEGEL Automotive is displayed on the exhibition stand. It contains around 1 000 spare parts suitable for more than 2 100 reference numbers of the European commercial vehicle manufacturers. Visitors can experience selected products live as exhibits. The product range is also available in the form of a digital product catalogue on tablet PCs. The digital version of the catalogue, which is freely available online, combines the familiar clarity of a printed spare-parts catalogue with the advantage of ease of use offered by digital media. The printed catalogue of the brand SIEGEL Automotive can be requested via the contact form. Distribution partners receive daily-updated information on products of the brand SIEGEL Automotive around the clock in the Partner Portal of Diesel Technic at http://partnerportal.dieseltechnic.com. Selected products from SIEGEL Automotive are promoted every month on the brand website at www.siegel-automotive.com and in the Parts info Newsletter from Diesel Technic. Register at: http://newsletter.siegel-automotive.com. Products of the brand SIEGEL Automotive are Diesel Technic’s own products and not original spare parts from the vehicle manufacturers. Distribution partners in 150 countries ensure the reliable supply of spare parts of the brand SIEGEL Automotive and provide the best possible customer service locally. The Automechanika Frankfurt is the world’s leading trade exhibition for the automotive aftermarket industry and a meeting point for international visitors from manufacturers, dealers and workshops. 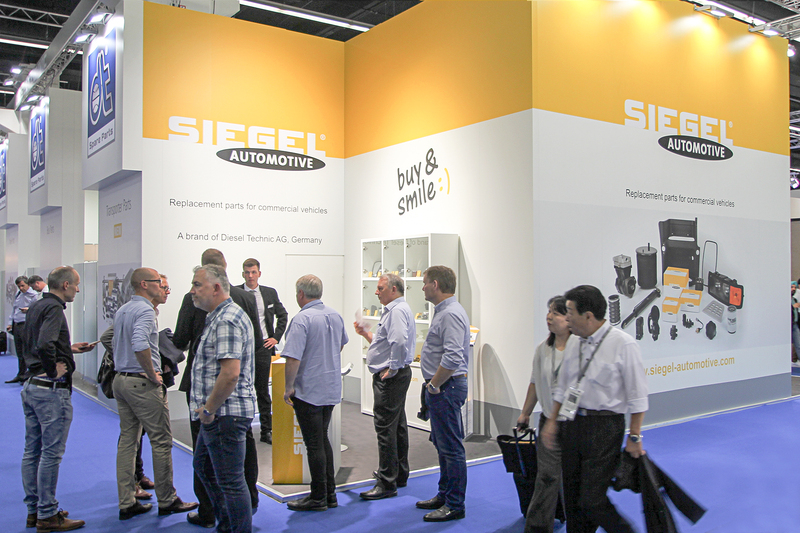 Visit the brand SIEGEL Automotive on exhibition stand B48 in Hall 5.0. The international exhibition team is looking forward to your visit. You can arrange an appointment using the event contact form at http://events.dieseltechnic.com. Further information regarding the Automechanika Frankfurt can be found at http://automechanika.messefrankfurt.com. The new SIEGEL Automotive brand from Diesel Technic will also be presented at the IAA Nutzfahrzeuge in Hanover/Germany. Visit Stand B23 in Hall 13 from 22 to 29 September 2016. Appointments can also be arranged via the events contact form at http://events.dieseltechnic.com.